SYNOPSIS: Spiritual Formation (SF) is not some Spiritual Disciplines version 2.0 or 3.0. It is a life-long process that lets Christ be formed in us so much that people who see us, would find it inviting enough to do the same. For all its good points, I still have a "love-hate" relationship with this term. This article explains why. There was a time in which people were all crazy about devotionals. I mean super crazy. 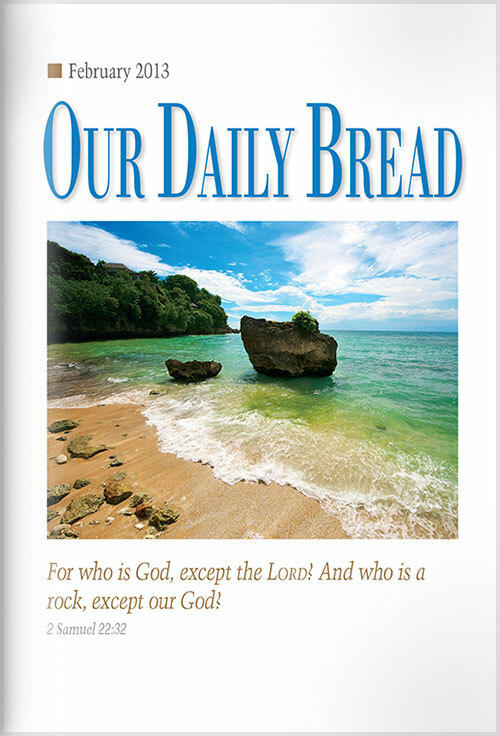 The freely available "Our Daily Bread" from Radio Bible Class was one of the first devotionals I ever had. Printed as a pocket-sized booklet, it let new believers to read a verse, reflect on the story, say a prayer, and to hear a thought for the day. 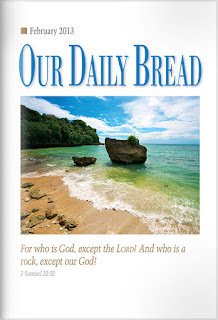 Other friends of mine swore by Selwyn Hughes's "Every Day With Jesus" devotionals. Unlike the ODB, EDWJ is not free. The first issue of EDWJ was published in 2000 and focused on monthly themes. The next wave was the practice of spiritual disciplines, thanks to the popularity of Richard Foster's "The Celebration of Discipline" which not only became a bestseller, it created a new wave of interest in both inward and outward practices of spiritual disciplines. Even today, people still talk about Richard Foster's spiritual disciplines as a way to live out their Christian lives. Just like the way we upgrade our software, Christians sometimes wonder, "What's next?" Lo and behold, there is a new wave after Foster's Spiritual Disciplines. This is called "Spiritual Formation." I remember a time in which seminaries, churches, and various Christian groups were all talking about spiritual formation for their communities. In the minds of many, it was the "next big thing." For some then, it simply meant "Spiritual Disciplines 2.0" or version 3.0. This week, I want to share the five things in my Love-Hate relationship with this strange thing called, "Spiritual Formation." 1) What Is Spiritual Formation? LOVE: It sounds nice and looks cool. Thus begins my love-hate relationship with this seemingly attractive semantic. It sounds nice. It looks cool. "Spiritual Formation" sounds a lot better then mere "spiritual disciplines." The latter looks like some crazy routine one needs to do in order to be kept in shape, like forcing oneself to refrain from BBQ meat in order to lose weight. When I flash the phrase to my friends, "My Church is into Spiritual Formation," there is some kind of a cool "spiritual advancement" curriculum that can be quite impressive. It may even give some people a chance to boast that their Church is a cut above the rest. It's like saying, "I am using an Apple iPhone 6S" to a generation of people still stuck with their keyboard Blackberrys. I will deal with the definition later in this article. HATE: It is easily uttered but not easily understood. Wow. Nice and cool, but what is spiritual formation? Here is where it becomes uncomfortable. It is not very clear, not easily understood, and requires people to explain over and over again, what it is, who said it, and why it is necessary. It is not surprising that definitions are hard to pin down. I hate it when it cannot be simply defined by one phrase. Even if I could, it still does not guarantee the listener's understanding. Moreover, people with different understanding of SF will go on to teach even more different variants of SF which further clouds the picture. "Spiritual formation, without regard to any specifically religious context or tradition, is the process by which the human spirit or will is given a definite “form” or character. It is a process that happens to everyone." (Dallas Willard, Renovation of the Heart, Navpress, 2011). LOVE: When Practitioners Understand it as a Life-Long Process. Being formed into the image of Christ is a life-long process, and spiritual formation as a tool to do that is certainly a good thing. It is a life-long endeavour. From roots to shoots; from trunks to branches; from twigs to leaves; from buds to flowers; and from flowers to fruits; all that is happening is growth. There is a center for that growth. Water gets into the ground which are then absorbed by the roots. The tree then circulates the water to the rest through a complex structure of tissues and membranes. As the tree grows in size and in height, so do the fruits. Unlike Jack's magic beans, a tree does not grow branches in one day. Likewise, being spiritually formed is not based on a human project timeline, but completely dependent on the Holy Spirit. HATE: When it is dependent on mere programs. Spiritual Formation is not a mere program or some latest incarnation of a spiritual project. It is a marathon process. Many churches have become very proficient in organizing programs and buying resources to fit the needs of the Church. How do we know we are spiritually formed? Honestly, reading a book does not make me a spiritually formed person. It takes intentionality. It requires humility. It needs community. Above all, it needs God to form us, not human projects. The more stubborn we are, the more we need to be broken. A hardened heart refuses to be formed. If old ways are formed like concrete, the best tool to use would be a sledge-hammer to obliterate the concrete. One program cannot do that. It takes a loving person to help. LOVE: A person who has been spiritually transformed will be able to guide others in their journey. It takes one to lead one. If the person leading the program is not spiritually formed in the first place, it is impossible for that person to lead. Individual leaders have to be trained and equipped in order to guide another person toward spiritual formation. Spiritual Formation is not about imparting spiritual information. It is about the person being drawn more toward Christ, not technique; focused on Christ, not self; and led by the Spirit, not the leader. This is why only leaders who have been formed can lead. Such a leader must remember that the initiative is the Spirit. That is why we call it SPIRITual Formation. HATE: It's not easy to discern the transformed leader. Just because one has finished a course does not mean one has the ability to transform others. In fact, it is entirely possible for one to be strong advocates of spiritual formation without themselves been transformed in the first place. Human beings have become masters of deception. They can hide behind the worldly achievements and human techniques. They can showcase only the parts that they want to show, while keep in secret those parts they want to hide. Mere knowledge cannot cut it. Even the production of a certificate is no X-ray of the person's spiritual condition. LOVE: Being Christlike means becoming a blessing to others. Spiritual Formation is not about selfish accumulation of knowledge for puffing one up. It is a process of being transformed into the likeness of Christ to be a blessing to others. Like a lamp that gives light, people in the same room will benefit from that one light. Bruce Demarest writes: "Spiritual formation, on the other hand, involves the shaping and nurturing of the Christian’s inner being after the pattern of Jesus Christ for the blessing of others." One who is spiritually formed will be conscious of how he treats others. He longs to be a blessing for others, and not constantly on a lookout for self-gain. It asks the question, "How can I help you?" instead of clamouring for "How can you help me!" HATE: I am wary of SF becoming an internally-driven endeavor that ends with the individual. The monks of old have often been accused of fleeing to the deserts because they want to escape from the world. Some pledged to run away from the world and indulged in spiritual activities in order to gain some peace. Those who had a bad relationship pledged to remain single and completely devoted to God instead. Sometimes, I shudder when I see individuals receiving a certificate of completion for a spiritual formation course, as if it is a degree to be framed up on a wall to show off one's latest spiritual achievement. For that, I think it is more "spiritually informed" graduate rather than a spiritually formed disciple. A SF program that ends in the benefit of oneself is putting spiritual ego before others, and before Christ. It is contrary to all the good purposes of spiritual formation. HATE: Some people think that there is a one-size-fits-all solution. That is wrong. What works for Dallas Willard may not work for others. There are others who prefer to focus on simpler terms like "Prayer," "Bible reading," or "Discipleship." and not some amalgamated term like "Spiritual Formation." Moreover, there are different age groups in the churches. Adopting the term SF may not necessarily mean much to laypersons. I remember a seminary that sets out a 3-Year "Spiritual Formation" program for all. At the end of the 3-years, when I ask a student what is spiritual formation, he was still not sure what it was. I thought to myself, "If seminarians are already not sure of what SF is about, what about churches?" Personally, I feel that spiritual formation while good in its essence is a little "above the head" for the layperson, especially younger believers. This in itself is a problem. Time must be given. Patience is necessary. That said, let me share my favourite definition. Jeffrey Greenman and George Kalantzis put it very succinctly what spiritual formation is about. I like it because it is not only comprehensive in terms of a response between us and God, it leads to a reflecting of God's goodness to others. It parallels the greatest commandment to love God and neighbour. I see spiritual formation as a metaphor of the three members of the Triune Godhead: Father, Son, Holy Spirit. As we dance with God in developing our relationship with Christ, we invite the third party (others) to join us. This is Trinitarian faith in action. SF is about being sensitive to the Spirit's prompting; to be humble in our responding; and to be generous in our sharing.